The defunct Association for the Voice of Education in Quebec paid close to $1,000 to prevent a former staff from taking legal action against the organization, The Link has learned. Former Advisor to the Executive Sophia Sahrane said they agreed to drop harassment complaints against AVEQ and to not take legal action against any former staff in exchange for extra vacation pay. At its peak, AVEQ represented about 45,000 students across Quebec. After existing for less than four years, it dissolved last month amid decreasing revenue and low membership. Sahrane first filed complaints against the organization in October for late pay, psychological harassment, retaliation and masked firing through the Commission des normes, de l‘équité, de la santé et de la sécurité du travail, responsible for enforcing Quebec’s labour code. Sahrane agreed to make the deal after AVEQ’s board contacted them on Dec. 30. Sent on a Sunday, the letter sent around noon demanded a response to the board by 3 p.m. the same day. 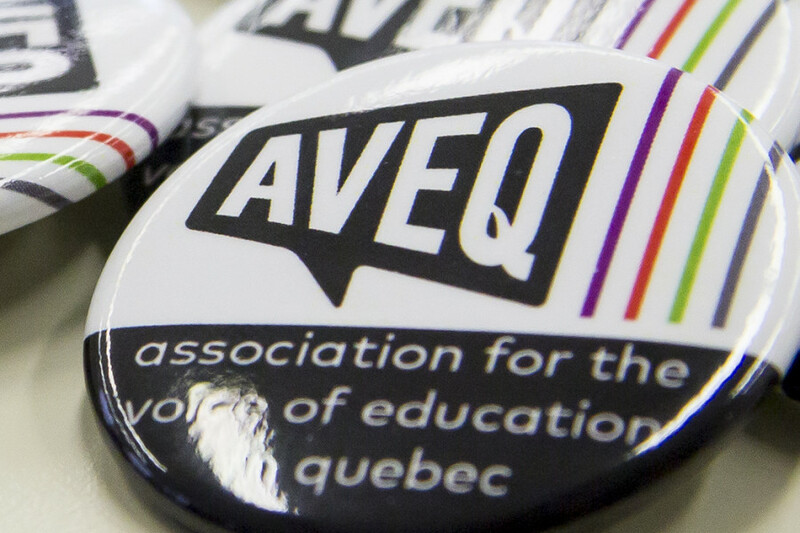 Board members of AVEQ include Concordia Student Union executive Camille Thompson and Laura Daigneault, an executive for the student union at Université du Québec à Rimouski. Thompson declined to comment on the alleged harassment and other complaints for legal reasons, and both declined to comment on the settlement. Two other former employees, who didn’t want to be named, also claimed they were harassed by Sahrane. Zebiri said she found it concerning that Sahrane only filed complaints after executives and other staff started bringing their concerns about how AVEQ’s finances were being handled to their board. The previous Finance Coordinator Mathieu Vaillancourt, Zebiri and the two former staff also claimed Sahrane mishandled AVEQ’s bank account. Vaillancourt said Sahrane took a monopoly on managing their funds by locking him out of their bank account until late October. The four claimed that Sahrane failed to be transparent with the executive team about their decreasing cash flow, paying the association’s rent, salaries and hydro through a line of credit without the executive team’s knowledge throughout late August and October. The four also agreed that AVEQ’s board failed to appropriately deal with the situation and their concerns about finances and Sahrane’s absence from the office. Sahrane’s job included taking care of administrative costs. Sahrane said it’s not possible they mishandled money since all expenses they made were approved by the board, executives or through students representing AVEQ’s member-associations. They also said the use of a line of credit was never a secret, and that open discussions concerning that began at a congress in July of 2018 as a way to deal with membership dues that often came in late. Sahrane said they decided not to give Vaillancourt access to AVEQ’s bank account because the executive team had exercised poor judgement with how money should be spent. That included calls for cleaning services for their office and, in one instance, a $200 request for sodas for a barbecue by Concordia’s Graduate Student Association. “I said, ‘If you want to do this, you’ll need approval from the board, because it’s not in our mandate,’” Sahrane said. In a number of instances they said executives ignored that advice by purchasing things without the board’s approval. When it came to accessing the bank account, Sahrane said they decided to not provide Vaillancourt with the login information for the account since they didn’t want to be held legally liable in case he misspent money. “I didn’t want them to be in a situation where they could just use AVEQ’s money for whatever, because they had exhibited carelessness,” Sahrane continued. According to a document provided to The Link, Vaillancourt’s job description didn’t mandate he have access to their bank account, though the board later granted him access in late October. While interpersonal conflicts were common there were also recurrent problems in staff and contract researchers getting paid on time. Former Research Coordinator Mikayla Harris said she learned of one researcher not being paid between July and August after beginning her position in mid-September. Once they were paid at the end of September, their cheque bounced as AVEQ had maxed out its line of credit. “I don’t think he got paid until end of October for July, August, September and ultimately October,” Harris said. In the summer AVEQ projected a deficit of about $70,000. Cavis-Haie said member-associations later learned a deficit well surpassing what was originally projected had incurred while at a congress in mid-October. And while others complained of Sahrane’s absence, Sahrane highlighted that they didn’t receive any pay between Sept. 8 and Nov. 6. Sahrane also said their pay due in the end of December was only received a week a half later. Cavis-Haie told The Link they’re unsure if AVEQ owes them any more pay since they’ve been unable to access their pay-stubs. Both Sahrane and Vaillancourt were responsible for collecting fees from member-associations, but fees from Concordia students only came in late October as miscommunication over signing officers led to the university cancelling payments. Fees due from Chicoutimi students were never received, while those from UQAR students only came through on Nov. 1. The CSU later intervened, sending AVEQ a loan of close to $35,000 at the end of October. It was later paid back by mid-December. Undergraduates at Concordia have paid $3.50 each semester to AVEQ since 2015. With fees for this semester already sent off, CSU Finance Coordinator John Hutton told The Link that some those fees could return to CSU once AVEQ’s remaining debts are paid. CSU General Coordinator Sophie Hough-Martin said the union isn’t in any rush to join a new provincial association, and will “shop around” by opening up discussions with other Quebec associations to see what works best for them.